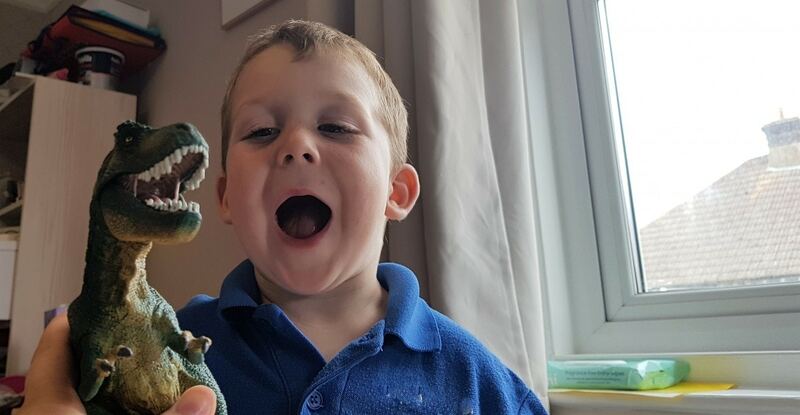 Arlo loves dinosaurs, and if you watched my Instagram stories this morning you would have seen him making his new T Rex eat a load of farm animals – sorry about that if you were eating your breakfast! Schleich are the world renowned maker of realistic animals, from farm animals to Dinosaurs and even make believe creatures too, like Mermaids and Unicorns! 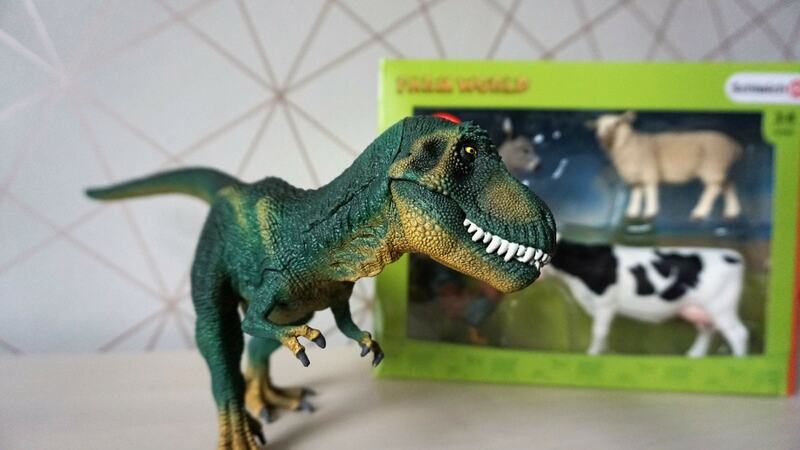 Now you can pick Schleich animals up from George at Asda online! 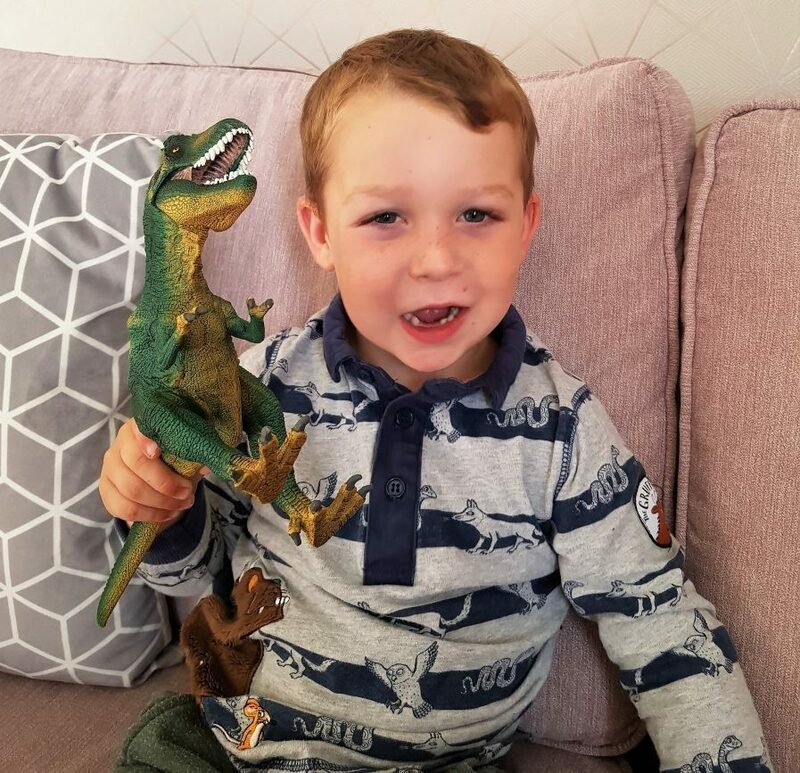 Arlo was sent the Tyrannosaurus Rex, and loves it so much he took it to the child-minders this morning, even though he had to walk instead of scoot so he could carry it! 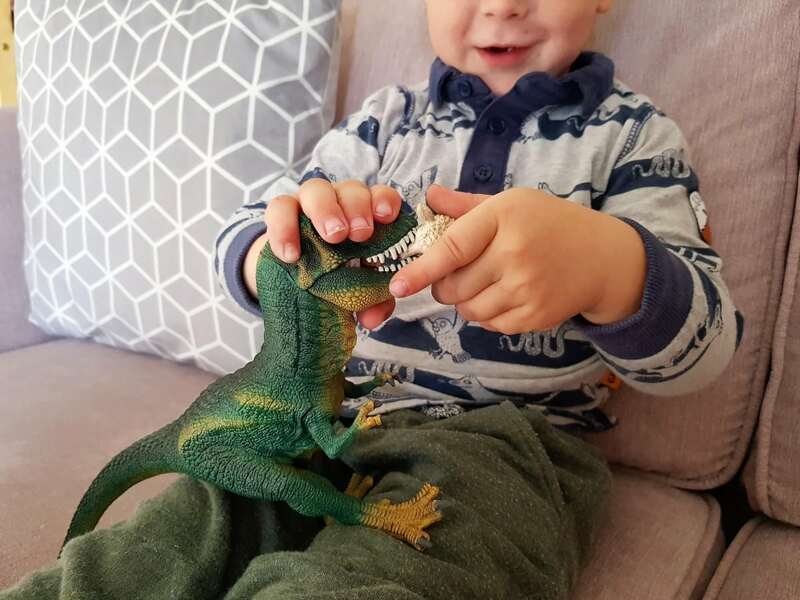 He’s been asking me questions about it, like “why is the top of his mouth bumpy” and “what are these claws for?” – meaning the vicious looking claw on the back foot, my answer was to help him hold down his prey more easily – hope that’s correct! 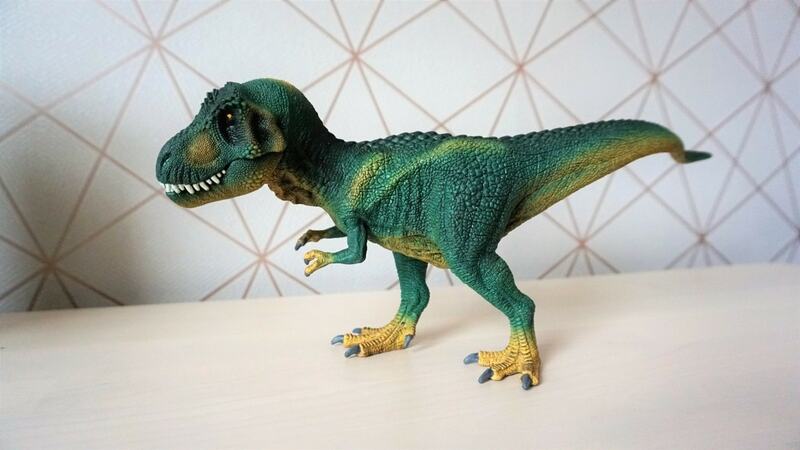 You’re probably familiar with Schleich as they’ve been around since 1935, and possibly even had some animals of your own when you were younger but if not these toys are built to last, they fuel the imagination and the sheer amount of species available is impressive! 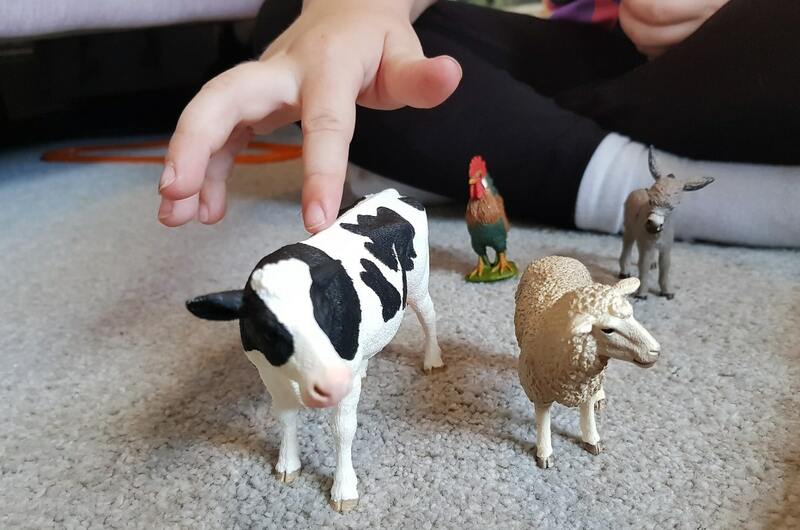 They’re perfect for starting a collection of animals, and for starting conversations about animals and how they work! Cows have realistic udders, donkeys have hoofed feet etc all finished off by hand, so the details really are special! We were sent these toys for the purpose of this review. Previous Post Getting Arty with the smART Sketcher Projector! Next Post Review: Hopster TV, the kids app that does it all! 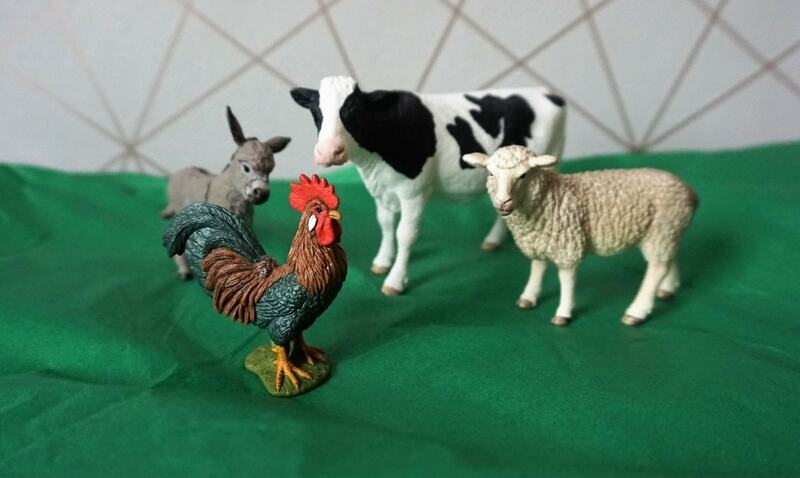 I used to collect Schleich when I was younger! I’m pregnant now so might start getting some for when this baby is earthside and a bit older!